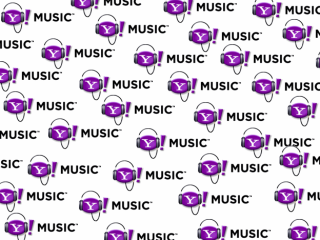 Yahoo has today launched a new online music lyrics search service. The database of song lyrics will be one of the first fully licensed, legal alternatives to the numerous existing unlicensed sites. Many of these attempt to push malware on visitors. Yahoo has teamed up with Gracenote to offer the lyrics to hundreds of thousands of songs, with the revenue coming from advertising. A percentage of this income will be shared between record companies and artists. "Finally, a free, legal and definitive way to settle a bet with the guy sitting next to you at the bar who is certain the Ramones' most famous anthem declares, 'I wanna piece of bacon,'" said Ian Rogers, general manager at Yahoo Music. "We think we can build a really healthy business for lyrics and I think publishers stand to gain quite significantly from this new revenue stream," Rogers said. "With the popularity of lyrics on the internet, advertisers want to be there. This is definitely a selling point," he went on. The lyrics service will add as much as £50m back into the music business over the next ten years, according to Gracenote CEO Craig Palmer. Gracenote is a private company which maintains and licenses an internet-accessible database containing information about the contents of audio CDs. iTunes et al use Gracenote's CDDB to search for information on inserted music CDs.